Supported by Dr. Ogasawara and providing . 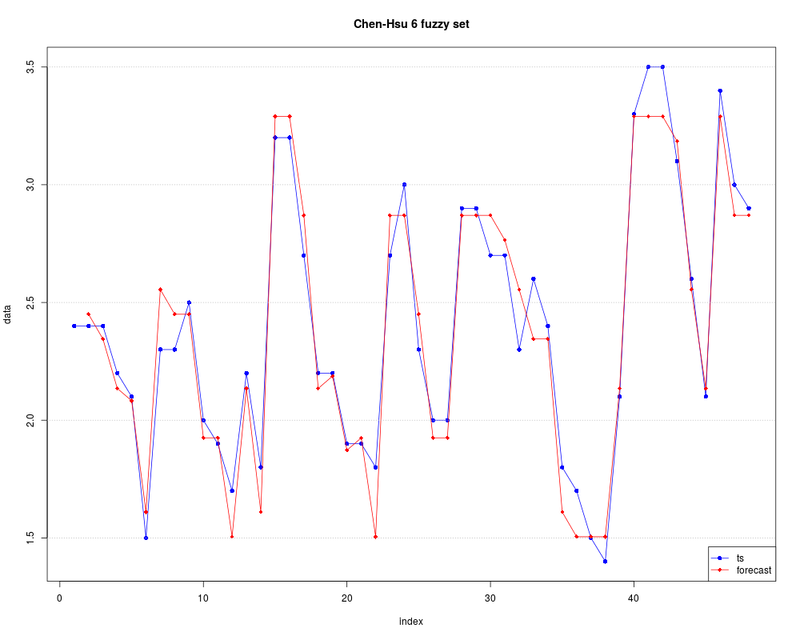 Calculating bin point values, which devece divide fuzzy sets in Chen-Hsu model. Object table1 from answer of fuzzy.ts1 fuction. 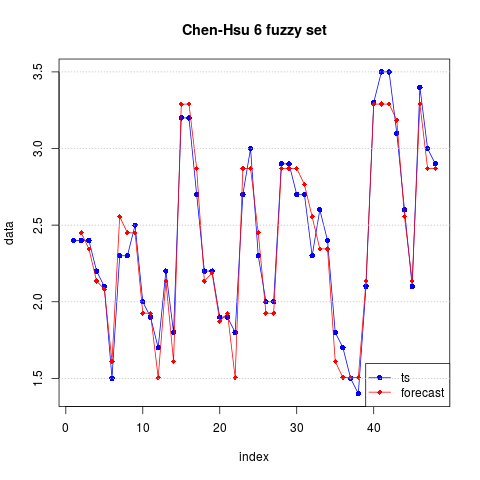 A vector contain fuzzy subset number in every old fuzzy set. A vector contain bin point values. R version 3.3.1 (2016-06-21) -- "Bug in Your Hair"
Type 'license()' or 'licence()' for distribution details. 'citation()' on how to cite R or R packages in publications. This is mgcv 1.8-12. For overview type 'help("mgcv-package")'.